Answer: There’s definitely some confusion about this, so I’ll try to clear things up for you. But first a little background info. Official astronomical names are decided by the International Astronomical Union (IAU). Before the IAU came into existence in 1919, astronomers generally named their discoveries whatever they wanted — within certain guidelines. The rules varied depending on what type of object was discovered. Comets get their discoverer’s name. Naming asteroids is a bit more complicated. But planets and moons are generally given names from mythology, as you learned in class. Initially names were drawn from Greek and Roman mythology, but as more and more objects were discovered, and they literally ran out of names, mythologies from other cultures were accepted. For example, the Kuiper Belt object Quaoar is named for a Native American deity. For millennia the only moon known was the one orbiting Earth. In 1610, after he invented the telescope, Galileo discovered four moons in orbit around Jupiter. At first he intended to name them after his wealthy sponsors, the Medici family. But based on feedback from other astronomers, they were eventually given the names Io, Europa, Ganymede, and Callisto (consorts of Zeus). Thus began the tradition of naming moons and planets for characters from mythology. That said, I can now answer your question. 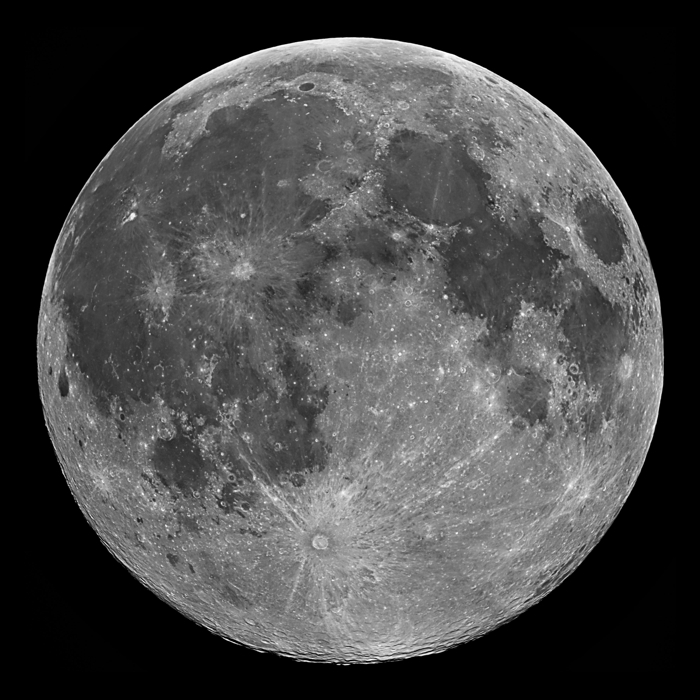 Earth’s moon is “officially” named Moon (with a capital “M” to distinguish it from generic moons). And that’s according to the IAU, so it’s about as official as it gets. In astronomy, by definition, any sufficiently large object that orbits a planet is a moon. In contrast, a planet is something that orbits a star. I’m sure you were hoping for a more exciting answer, but that’s the way it is. Some people may claim our Moon’s name is “Luna” but that was just the Latin name for it. Likewise, its Greek name was “Selene.” You could choose any language on Earth and find different names for the Moon. For example, it’s called “Chang’e” in China. You can see a comprehensive listing here. And if you’re curious about the origin of the word “moon” itself, the etymology is here.